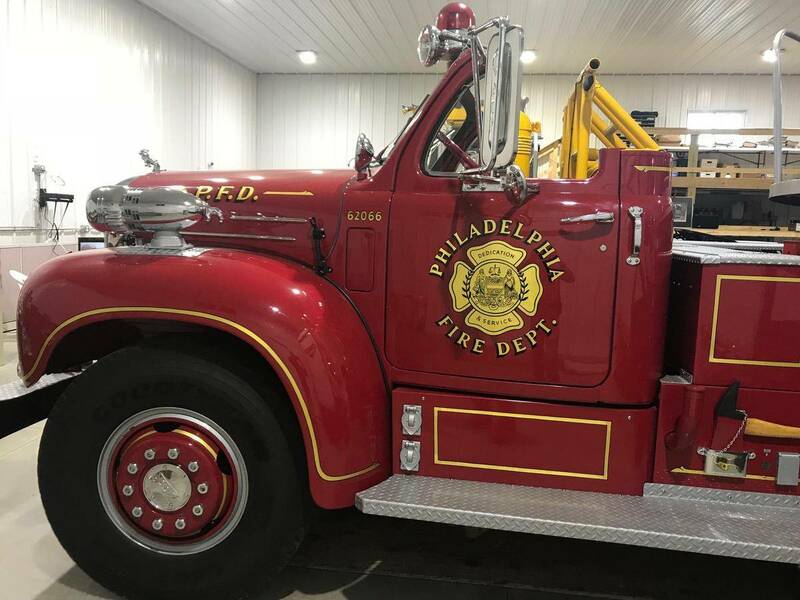 This American LaFrance fire truck originally was part of the Philadelphia Fire Department purchased new in 1950. A total of 3 complete units were purchased. 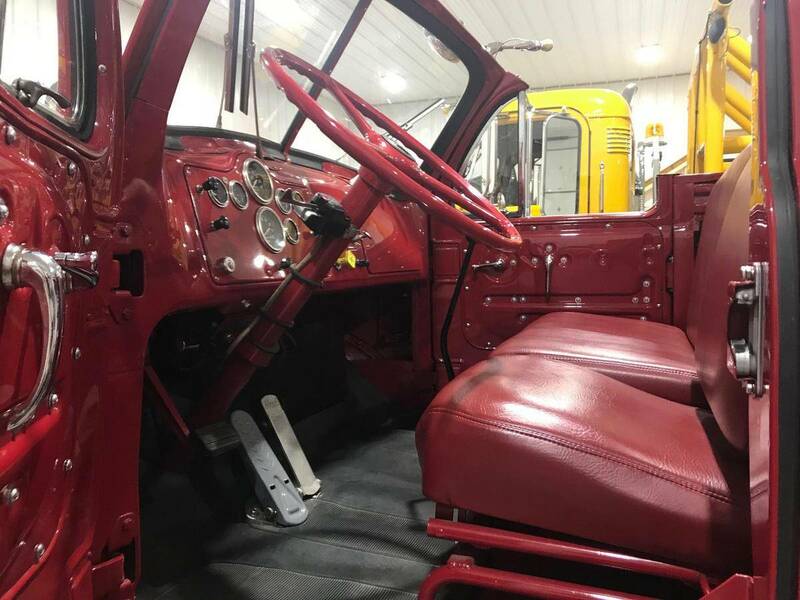 In early 1960, the single axle American LaFrance tractors were replaced with Mack B-85F single axle tractors with 707 cu in. gas motors and 5 speed transmissions. 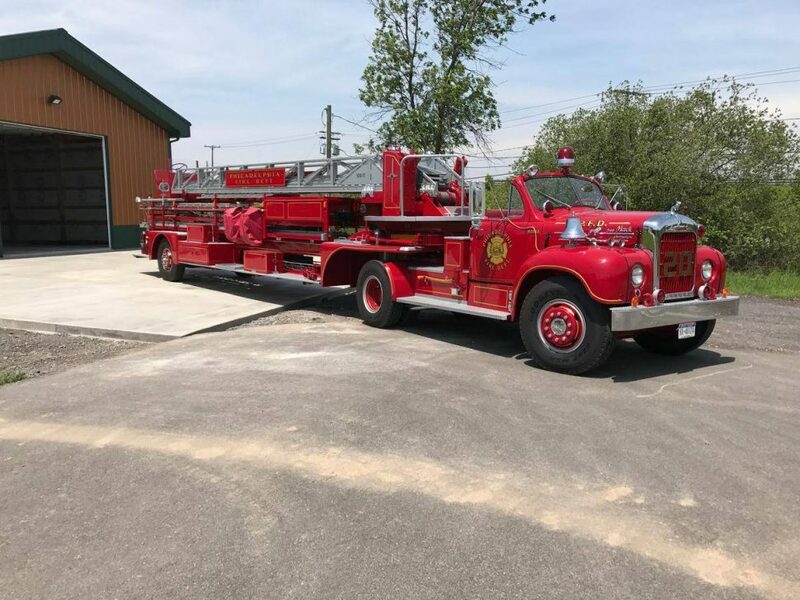 This particular truck has been completely restored and the 707 gas motor was replaced with a 237 Mack diesel coupled with a 5 speed Maxitorque transmission and 4:00 ratio rear end. New tires, brakes, paint, rebuilt 10 Kw Onan Generator etc etc. The trailer is locked in place so that no tiller operator is required. In addition, an extra 40 gallon fuel tank was added for a total of 80 gallons of diesel fuel to increase the range when driving long distances. Please request more historical and mechanical details if seriously interested. The trailer has air over hydraulic brakes. 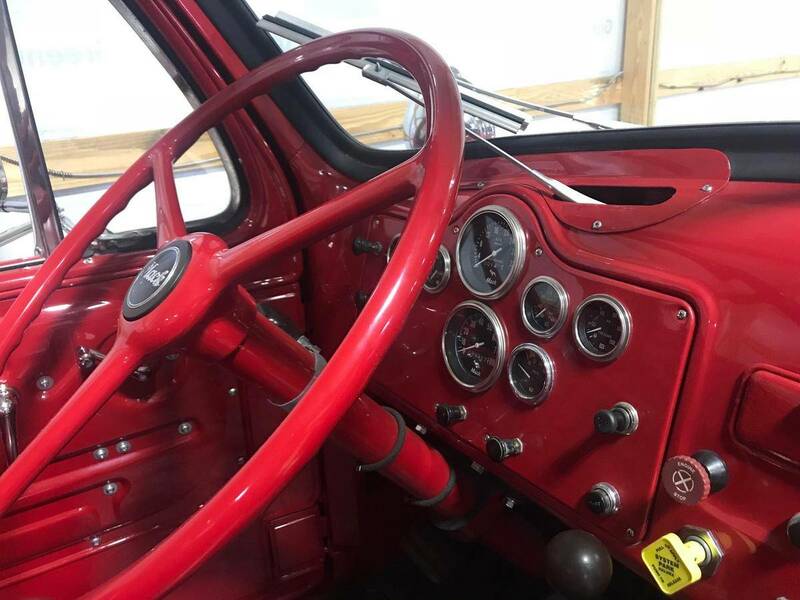 The truck has only 300 miles max since complete restoration. Extensive use of “gold leaf” which is very expensive! See more Macks for sale on Hemmings.com.